Businesses that have the potential to be affected in some way by natural disasters can avoid the complete standstill to their services by preparing and planning out just what they would do if their facility suffered a catastrophic loss. Hurricanes, earthquakes, tornadoes, snow storms, flooding, and fire are some of the most obvious causes of potentially disastrous losses that could halt the operations of a business. In fact, the property of a business does not even have to have any direct damage for a natural disaster to halt their business. For example, loss of electricity, telephone, or internet connectivity can cause problems with functionality, as those services are paramount. If you understand that any type of disaster could destroy your computing infrastructure – where all of your company records and data are stored, which could quite possibly destroy your business – then you should have a plan in place to alleviate that possibility. At the very least, any business that uses computing to manage their operations should have an off-site back-up of their most important data and records. This is not a very expensive strategy, it is something that can be entirely automated, and it does not even need to be accessed until you actually need to use it. There are automated back-up systems available from most data centers, which back-up your data as frequently as you desire. The incremental changes made in the time-frame chosen are then sent across the internet through an encrypted protocol, and stored in a managed backup system at the data center. Usually, the client is provided with a secure web interface to access those files as needed. These backups can also be used to restore individual data files that may have become deleted or damaged at any time, and downloaded back to the computers in your office. The next step up from simply backing-up your data for protection from a disaster would be hosting some, to all, of your regular computing infrastructure in a data center. This type of solution is known as Infrastructure as a Service or IaaS. If you hosted your main office server in a data center and accessed your files over the internet from the PCs in your office, you could survive a disaster from a computing standpoint. All of your important data could then be accessed from a temporary, remote location, or even by having your employees work from home until the office is re-established. Many companies are now hosting their entire computing infrastructure in a data center; everything from virtual PCs to their application servers. These can then be accessed through just about any device that is connected to the internet, such as a PCs and smartphones. Communicating with your customer base during and after any disaster is vital in many cases. When your email and telephone systems are cut off, and you and your customers can no longer communicate, this could be extremely damaging to your business. By hosting your email server at a data center, you have access to your email system through almost any device connected to the internet. Another popular data center service is VOIP-based hosted phone systems. In a VOIP-based system, the PBX system normally nailed to the wall in an office is replaced by a PBX server in a data center. Management and administration of the system is then done though a web interface. All phone communication is channeled through voice over Internet protocol (VOIP). The advantage of this in a disaster is that your phone system is always intact. You can access your administration portal over the Internet and change any settings that may be necessary, such as adding additional extensions for remote users. Staff members can work from remote locations or at home, by accessing the phone system with a softphone on their PC or by having their calls transferred from their extensions to their cell phones. 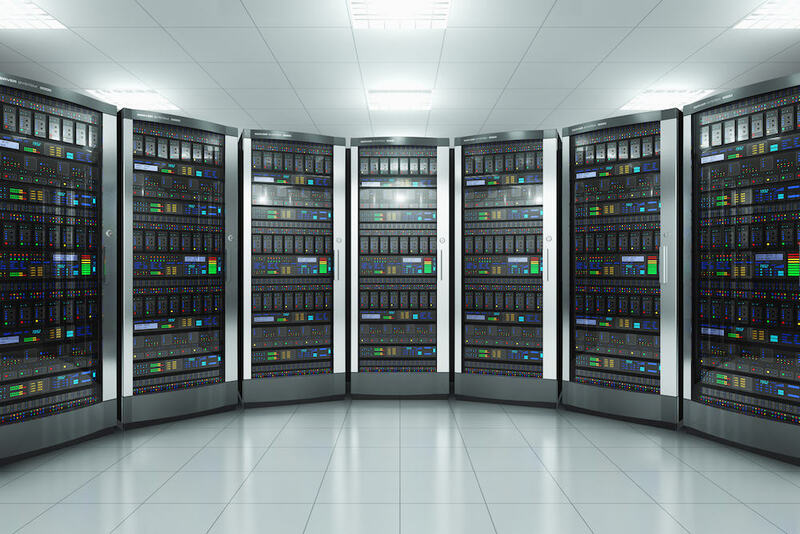 Data centers are the ideal solution to the issues surrounding disaster recovery. The key reason is that they have multiple redundancies in place to provide 100% up-time guarantees. At TurnKey Internet, we have multiple fiber providers supplying our internet and bandwidth through diverse physical paths into our data center. We have state-of-the-art networking equipment in place to maintain your connections, in case one or some of the fiber connections coming into the facility are disrupted. Additionally, our power supply is backed-up with both a robust battery back-up supply (UPS) to all servers and equipment, as well as dual on-site diesel generators that can power our data center long-term if necessary. For these reasons and more, anyone considering disaster recovery planning should consider the options available from TurnKey Internet, to insure that their business is not damaged long-term by a catastrophic event that had not been planned for. To get started, visit https://www.turnkeyinternet.net/myplan for a FREE consultation. Cloud computing, or simply “The Cloud,” has become increasingly popular for businesses, even while many industry leaders continue to waffle about exactly how it should be defined. The basic consensus is that cloud computing is ubiquitous, offering resources to many users at a time, over the Internet. It doesn’t matter where geographically the programs or applications themselves reside because they are all plugged into the cloud. Everything is available remotely, from anywhere, and best of all, it offers infinite scalability. 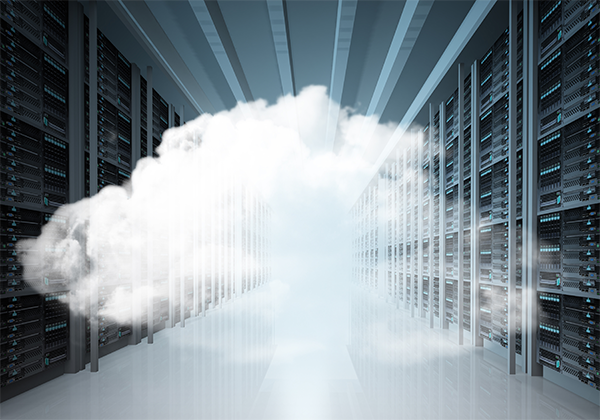 The cloud can grow as big as you need it to be, quickly, without any interruption of service. A major reason why cloud computing has grown in popularity is the rise of Infrastructure-as-a-Service (IaaS). Numbered are the days of building your own on-site or in-office server room. With IaaS solutions, your company’s data and IT infrastructure lives in the cloud, making it remotely accessible to multiple users with instant scalability. You’re also provided with peace of mind, knowing that your data is being stored in a secure, redundantly powered, high speed internet-connected facility. There are many benefits that IaaS offers compared to hosting your own IT infrastructure on-site, such as higher up-time, increased network performance, lower cost of operation, and superior capacity expandability. The face of business has changed into an on-demand environment. Mobile workers need access now, clients need access now, and your sales staff need access now. To add to the ever-increasing operational tempo of the modern business’s communications needs, you now have an increasing mobile factor where multiple locations, road warriors, and clients can span the globe all needing high speed access to your data. With IaaS solutions, you get massive high speed access at speeds 1,000x that of a typical office cable internet connection — ideal for the mobile and growing demands placed on the IT infrastructure of businesses today. In a world dictated by 24/7 always-available service, being down for minutes or an hour can spell disaster. Imagine having your entire organizations IT infrastructure down for a day or a week, while the power or cable lines to your building are disrupted? Imagine power-loss during a typical summer storm disrupting mobile work forces and remote sales opportunities from accessing your servers? By leveraging IaaS solutions, your IT infrastructure has multiple redundant internet connections, with continous power provided by UPS backup systems and generators for emergency backups. You could spent hundreds of thousands of dollars, if not millions, to have the same up-time capabilities of the enterprise grade power and internet systems in your own office location. The fiber optic lines, connecting to major network hubs at speeds in excess of 1,000x that of a typical office cable internet connection can cost over $50,000 a month – for just a single connection point. Add in redundancy to your office, and you could be spending millions a year for a high speed redundant Internet pipe at the same speeds you have access to for fractions of the cost with a IaaS solution. At the end of the day, the overall benefit of cloud computing and IaaS is that they allow your to focus more on your business, and not your infrastructure. To learn more about cloud computing and IaaS, visit TurnKeyInternet.net to speak with a Cloud Solutions specialist.